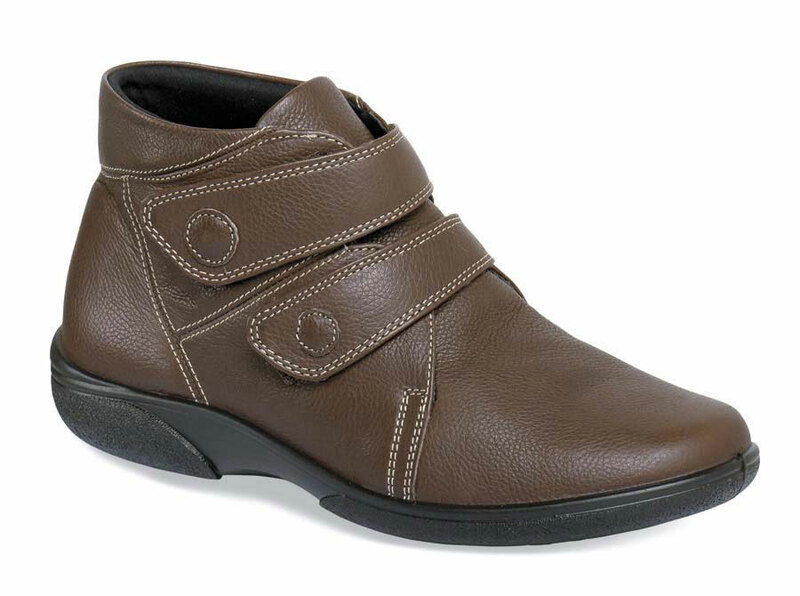 Trim, soft and light in weight, the super-wide chestnut “Bradwell” boot from easyB has dual self-securing straps for maximum adjustability and comfort. Its textile linings are padded with foam, and its leather-topped insoles may be removed for orthotics. Highly flexible “air bubble” sole. Made in England in U.K. sizes equivalent to U.S. women's whole sizes 5 to 11 in 4E, 6E and 8E widths.